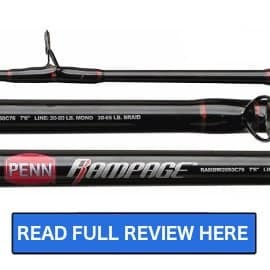 The following are a handful of the best casting rods that we have reviewed. Too many anglers just focus on their reel and do not pay enough attention to their rod. Remember that it is the rod that connects to your hands and therefore transfers the feel of the bite. 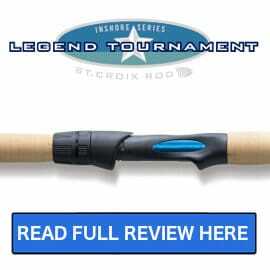 It is also the rod that allows you to control your cast for distance and accuracy. To learn more about How to Choose a Fishing Rod read the full article HERE. When we review a rod you can count on the fact that it is an unbiased review as we purchase all the equipment that we review and test. Our objective is to make sure that you have all of the information that you need to make an informed decision when you spend your hard earned dollars on fishing gear. This page is updated on a regular basis so click on the Notifications link to the right and subscribe or join our email list to get notified of new reviews and special deals from time to time. Get notified of the latest deals and new equipment releases as they are available. You have successfully registered for deals and news.